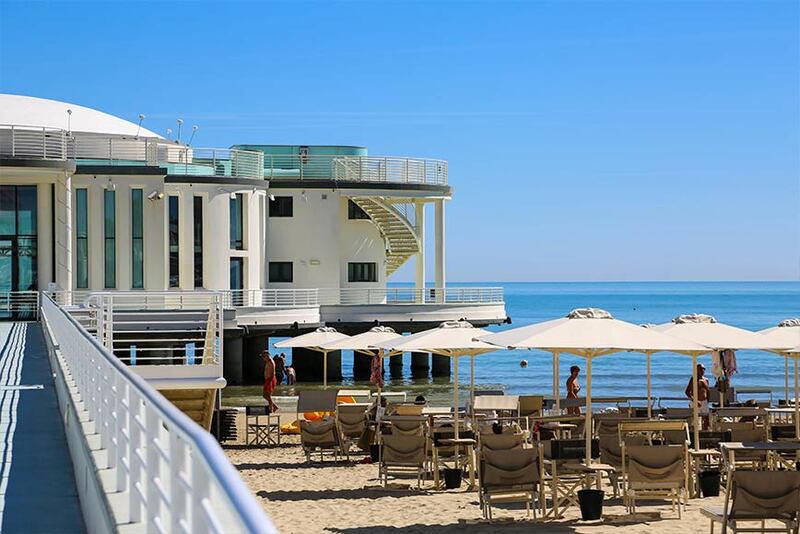 The city of Senigallia, more than the wonderful Velvet Beach, boasts an historic centre full of ancient palaces and monuments. 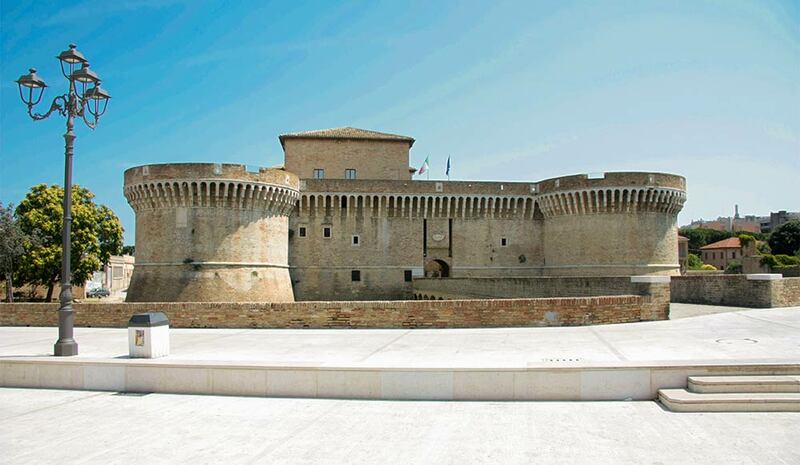 The Rocca Roveresca of Senigallia is a magnificent fortress from the Renaissance period. With its quadrilateral shape, the fortress has been built in a strategic position between the mouth of the river Misa and the creek Penna. 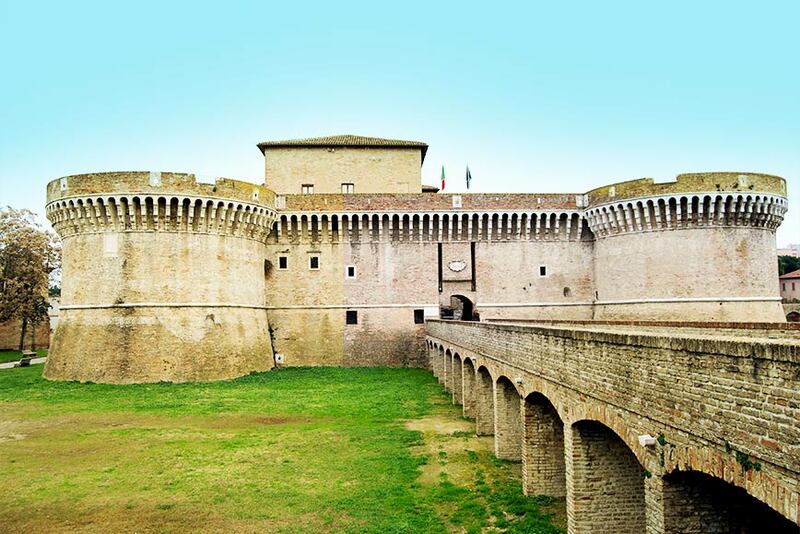 Its history dates back to the second half of the nineteenth century, when the architect Vincenzo Ghinelli designed the structure, located a few hundred meters north of the current location. 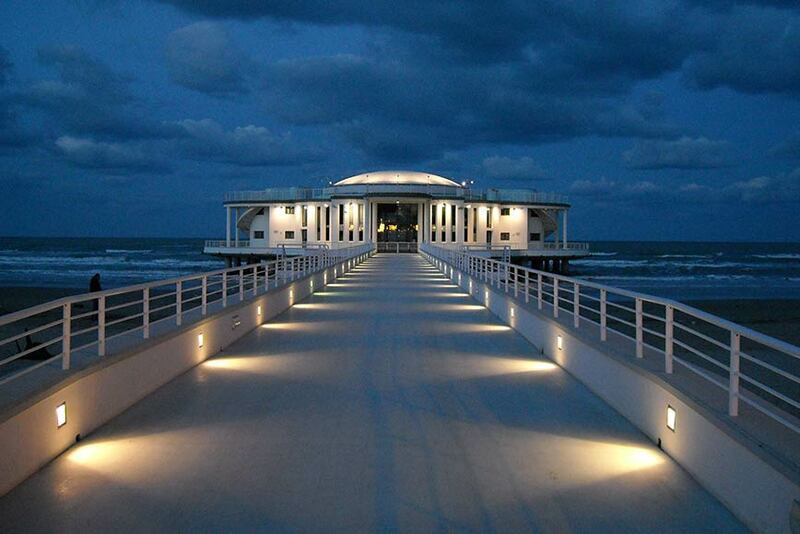 In 1932 by a project of the engineer Enrico Cardelli it was decided to restructure the Rotonda and move it to the present place and the 18th of July 1933 it was inaugurated. 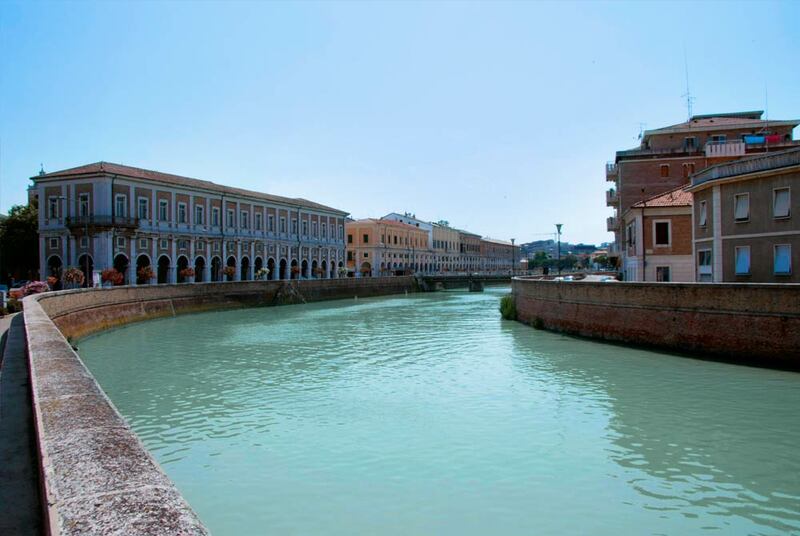 In the 50’s and 60’s it used to be the main centre of the social life attracting many tourists and artists of the Italian music. They owe their name to the cardinal luigi ercolani that, by order of pope benedict xiv, designed them in the mid-eighteenth century to house the annual trade fair named after st. Mary magdalene. The arcade has a sequence of one hundred and twenty six arches in istrian stone that run along the right bank of the river Misa. The Foro Annonario Square, whit his neoclassical style, was designed in 1834 by the architect Pietro Ghinelli in Neoclassical style. 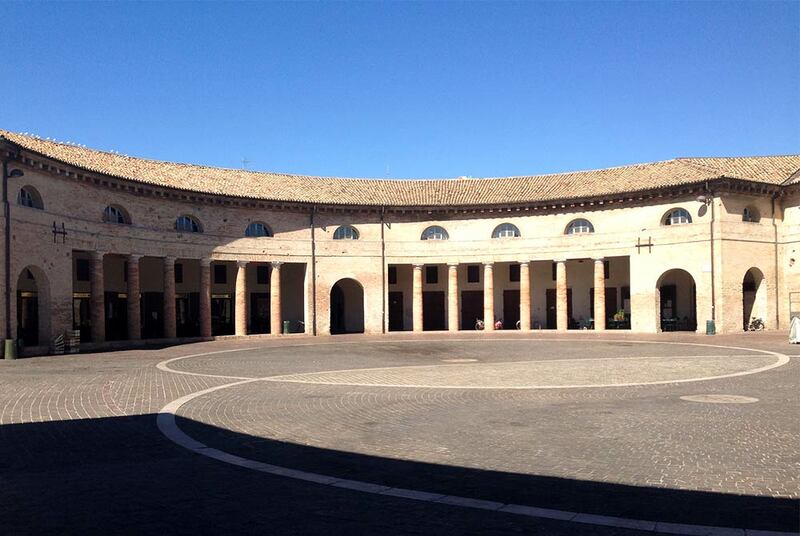 The square has a circular perspective, with 24 columns in Doric style that support the structure above and form a circular colonnade. Even today, as in the past, here takes place the daily open market and during the summer, the square becomes the set for shows and concerts.